Across the street from Happy Foods in downtown Edgebrook. University of Wisconsin Madison, Personal Finance. 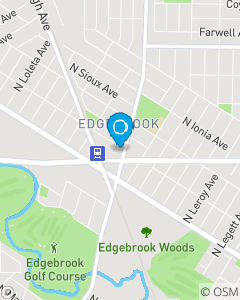 Active Member in Edgebrook Chamber of Commerce.Second Generation State Farm Agent 38 Combined Years.Preferred vendor for Chicago Fraternal Order of Police. We are a State Farm office providing the highest quality products and services within the insurance and financial industry. We continually strive to expand our business by seeking out customers who value personalized service, competitive rates, and caring attitudes.